Looking for a beautiful gift for a baby shower or a gift for a new mummy and her daughter? 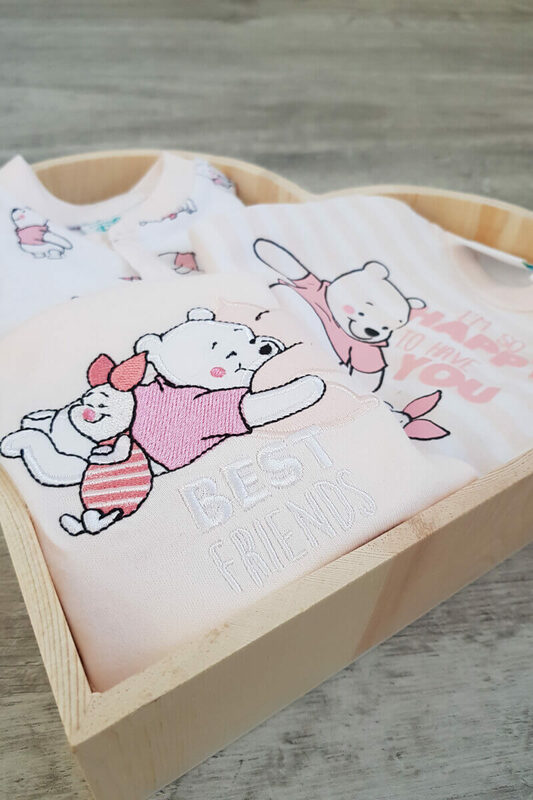 Then this Winnie the Pooh and Piglet heart hamper is perfect. 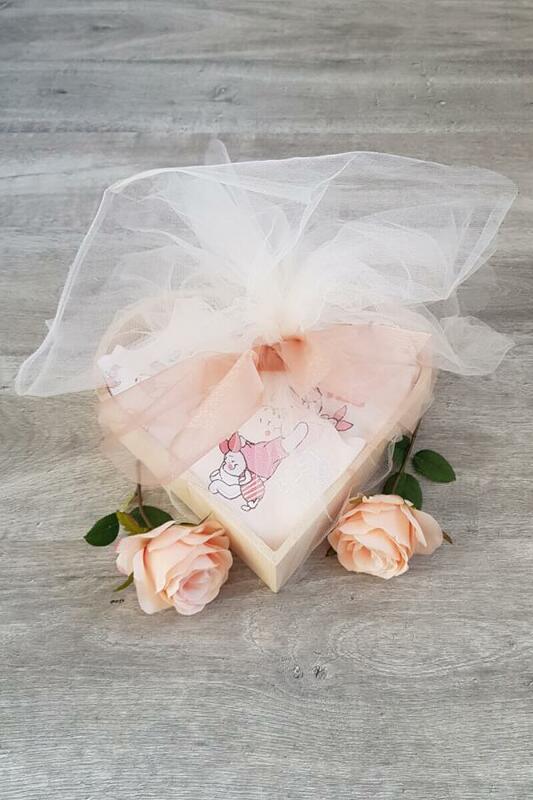 This 3 piece set is wrapped in tissue paper and placed in the wooden heart box and wrapped in a beautiful rose gold organza and tied with a rose gold ribbon.